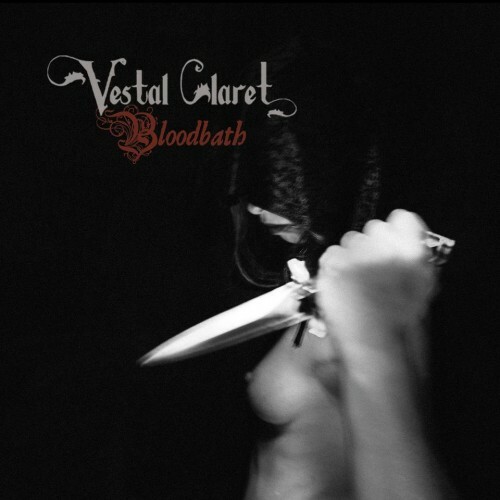 While this release stands in many ways as Vestal Claret's official debut, Vestal Claret have in fact been releasing eps, splits and demos as early on as 2006 with its actual formation in 2005 predating just about everything being heard in the current "occult" fashion genre at this time. There is no influence or inspiration from anything of the past 2 decades that provoked this release or it's ideas and concepts. The material on this album was all written in 2006, but with contract in hand Vestal Claret was unable to release these recordings until now. Most of you have probably already heard this stuff on the vinyl version released in 2011 by Cyclopean Records. Vinyl contains a "Bloodbath's" guest-version, but here you are dealing with a "Bloodbath's" band-version. It's over 70 minutes of classic heavy doom metal. Meet the Beast himself! VESTAL CLARET - Bloodbath (2013) CD SIGNED BY THE BAND!! !